i don’t know how many lectures i’ve gone to. i’ve gone to ones on south east asian religion, ones on databases, ones that aren’t really lectures at all (i had a business class where our main task was to take bs quizzes featuring questions like, what’s the name of a bosnian croat convicted of war crimes who died after drinking poison in front of a united nations tribunal in the hague?). but the biggest lesson i learned in college? it’s not what you do, it’s who you do it with. sure, there are some unredeemable activities (i’m not sure if i’d love backpacking, even if i was with the best people ever). but i wasn’t in a diy art club because i’m artsy, nor was i on the executive board of an information technology club for two years because i’m a technical person. it’s the people who made my time worthwhile. the people who i want to get trashy diner food in the middle of the night with, the people i want to sing jesse mccartney and brittney spears songs with, the people i chat at 2am while writing this blog post bc i don’t sleep enough. i’m going to be spending less time with some of these people in the very near future though: i’m bidding adieu to my presidency this week. so long, farewell, i’ll even say goodbye. and because i apparently only know how to celebrate anniversaries and changes in my life with carbs, voila creamed kale and kimchi pasta. it was inspired by this number from food52, and i thought i got the idea of adding kimchi from the comments. however, kimchi is nowhere to be referenced on the page, no matter how many times one might ctrl + f that query. the idea of adding kimchi probably came from the part of my brain that continuously craves korean food. this creamed kale and kimchi pasta is deliciously balanced between decadence and health: the (full fat!) coconut milk makes things luxurious, and the kale and kimchi pack a one-two punch of hearty vegetables. the kimchi stands out here as the star, but this creamy, cheesey (do you see that showering of parm?) pasta is also a good way to gentle a wary eater into this spicy, aggressive condiment. 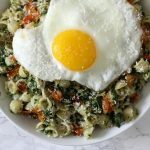 fried eggs on top are optional, though i do recommend some sort of protein to make this more of an entree instead of a pasta course. This creamed kale and kimchi pasta pairs a creamy coconut milk and kale sauce with plenty of crunchy, tangy kimchi. In a medium pan, heat some oil over medium heat. Add the onion, fennel and garlic, and saute until the onion is translucent. Add the kale, and cook until wilted. Add the coconut milk, and cook until slightly reduced. Transfer the mixture to a blender (be careful! ), and blend until your desired consistency is reached (I like a chunkier sauce). Add soy sauce, fish sauce, and/or lemon juice to taste. Toss the kimchi, pasta and creamed kale sauce together until well-coated. 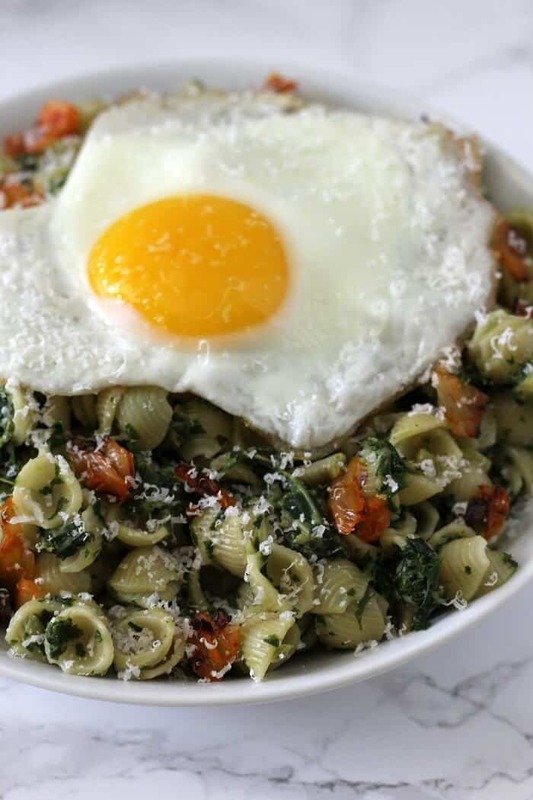 Divide the creamed kale and kimchi pasta among 8 bowls, top with fried eggs and parmesan, and serve hot. If you find that your kimchi is a bit too pungent raw, feel free to saute it to tame it. Add it to the pan with the onion, fennel and garlic, before you add the kale. thanks, kim! it’s creamy but not heavy, so it’s the kind of the thing that i keep going back for bites of. I like to celebrate with carbs as well.lol I have never had kimchi but this looks like a great place for it! Heather – this sounds so good! I love the egg on top, too! I’ll add kimchi to almost anything – I love the way it tastes so different when cooked than raw. And, for what it’s worth, I’m not sure what you could substitute for carbohydrate delights in a celebration. I’m not switching my celebration cake for a chunk of tofu. So there! Thanks for the recipe! There is nothing wrong about celebrating with carbs, I think it’s a great choice and this dish is simply so yum! This looks so good! I have been craving the spicy and sour flavour of kimchi lately and putting it in a pasta with kale is a genius idea! I love the egg on top too. What an interesting combination of ingredients. I will keep the tip in mind about lightly cooking the kimchi. College is awesome! Glad you’re connecting with people in lots of different settings from all walks of life. 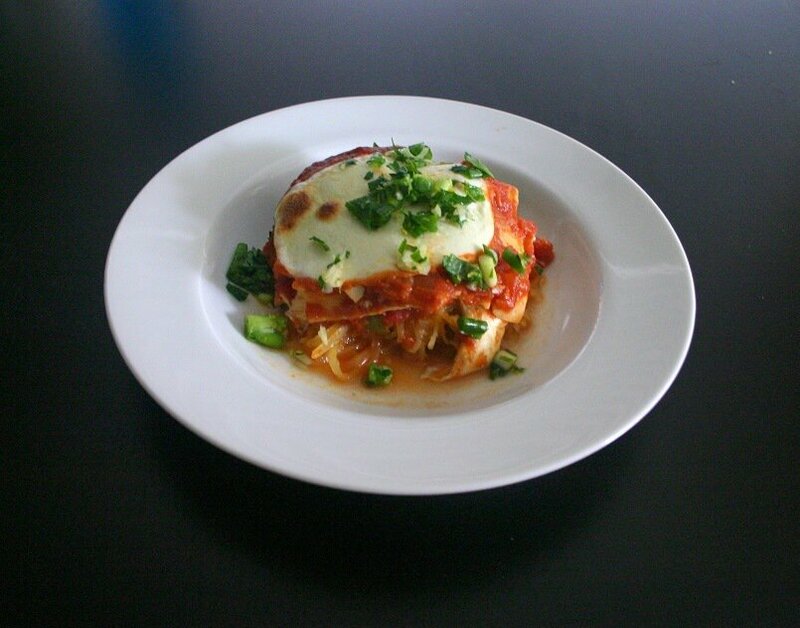 Thanks for sharing your college experiences and thanks too for sharing this recipe. i wasn’t a huge fan of college for the first year or so, but grateful i’ve had the chance to go! i might not have learned much in my classes, but i’ve been able to experience so many cool things that have shaped me into a better person. (cliche, but true). The recipe sounds delicious to the core!! Love that creamy flavorful coconut milk sauce..the idea of adding kimchi is amazing! So much more flavor! 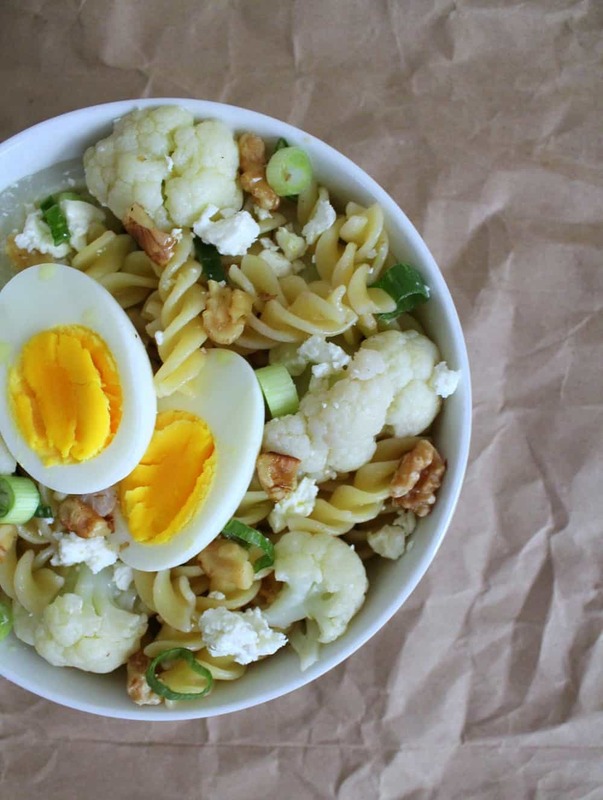 This is such an excellent post-workout dish which is making my mouth water, Heather! Can I use red onion for this dish? Adding coconut milk is such a great idea! This must be delicious!!! wow. I just couldn’t wait to see what this looked like, and it’s beautiful! You’re very creative! ooh yes then make some yourself! (: but if you’re stuck with storebought stuff, cook it down, and the overall flavor (and fishiness!) will mellow out. i made kimchi once, but with a seasoning packet, and it was eh. i’d just make my own mix next time, and really tailor it to my tastes. same! i’ve been eating a bunch of salads with a few handfuls of sauteed kale thrown in (i love salads with cooked and raw veggies) recently. Oh man, I hate it when there are questions in quizzes that are SO SPECIFIC. I find myself asking: “how is this going to help me in life again?” Hope you’ll make the most out of the last few days of your presidency! I know that feeling, haha. The creamed kale kimchi pasta looks delicious! Pretty cool that you added your own twist to the recipe from food52. I love how coconut milk makes a big difference in taste! My neighbour just gave me a jar of homemade kimchi – now I know what to do with it!! You have so much to look forward to but you are going to look back fondly on your college years…the good, the bad, and the ugly. I think it’s wonderful that you have so many good things throughout these past few years to reflect on. I love your creativity on this dish! 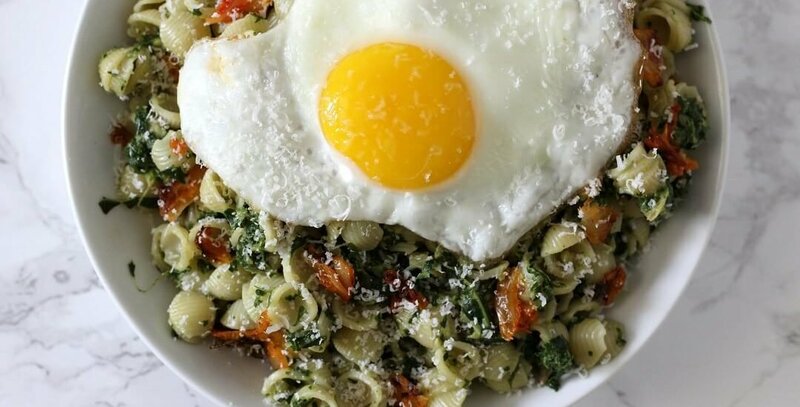 Pairing kimchi with kale and pasta is really thinking outside of the box. It sounds delicious!! Uni is such an amazing time in life! I made some of best friends there and we made a pact to get together once a year (sounds easy, right? but once you move all over the country and have demanding jobs it becomes more difficult.) Down with this dish. ahhh yeah it’s already happening! everyone is so busy, and i finally saw a friend i used to see multiple times a week for the first time in 2 months. ack.